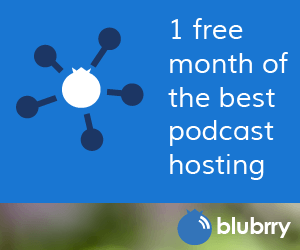 In July 2015 Blubrry launched a Patreon campaign for it’s podcasting plugin, PowerPress. Via Patreon we are able to support the continued development of the plugin and put more work into it’s new versions. PowerPress is being used by more than 40,000 podcasters, and we appreciate every one of you who also use our hosting and statistics. With your financial support via Patreon we are able to make updates faster. It’s like Kickstarter or IndieGoGo, but it’s ongoing. Most are familiar with crowdfunding sites where you are able to make a one-time donation toward a project, well with Patreon it’s a monthly or per creation donation. The PowerPress Patreon page is set up for monthly amounts because our plugin evolution is ongoing. Patreon also features rewards and milestones. The rewards are for our generous patrons and the milestones are goals that we work toward each month. Rest assured that your donation and information will be safe with Patreon. They accept most major credit cards and PayPal! They even have a mobile app coming out this summer. As a patron you are able to view our page, get insider information and possibly get featured on the PowerPress page on WordPress. Check out their site, and get signed up to be a patron! PowerPress was created in 2008 because there was a void in the podcast space. Podcasters used WordPress as their publishing platform and it was not being supported properly and sufficiently for podcasts to flourish. Blubrry developers decided to create a free open-source plugin for podcasting. With 100+ features and consistent development, PowerPress provides podcasters the ability to publish their podcast how they want to. The plugin has now become the most used plugin for podcasting. We release an update typically every 30-60 days, so you aren’t constantly trying to keep up with new features and changes. And if you do have a problem, we provide free support on our forums as well as on the WordPress.org forum. With PowerPress podcasters are able to to Post-Upload-Publish. PowerPress is the No. 1 podcasting plugin on WordPress, and it’s free, and it will always be free. Rewards! Did we mention the rewards that are available to you? You receive fun things and get the insider scoop on what we’re up to. You have the ability to directly influence what we create and implement. If you want a feature for your podcasting website, you can pitch the idea to us whenever you want. You’re essentially supporting the Blubrry team, motivating and pushing us to continue creating new features for the plugin. You are not required to use Blubrry hosting or statistics to use PowerPress, but with your donation you would be supporting the ongoing development.